Superdry men's Trophy Original hoodie. This classic hoodie features a drawstring hood, a front pouch pocket and ribbed trims. 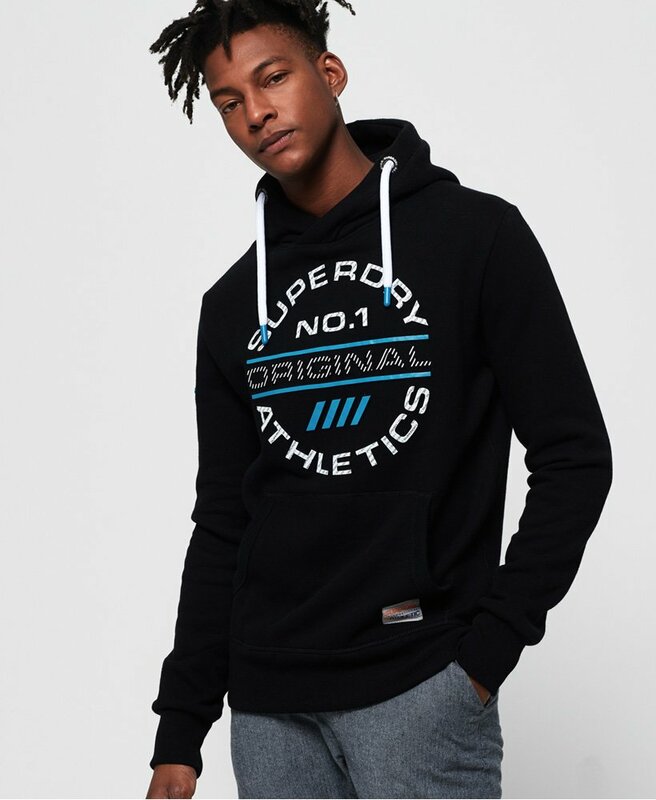 The Trophy Original hoodie also features a large Superdry logo graphic on the chest, a logo on the sleeve and a Superdry patch on the pocket.